Our Vision is to reach people to reach the world. To empower Believers through teaching, preaching, and demonstration of the uncompromised Word of God, to fulfill their highest calling, and to change this world through Jesus Christ. ​​Pastor Meredith Shackelford is the founder and senior pastor of An Open Door Church Ministries in Hammond, Indiana. Pastor Shackelford is the husband to Marilyn Shackelford. He is the father of two daughters and four grandchildren. Pastor Shackleford is a mentor to other pastors and leaders in the body of Christ. 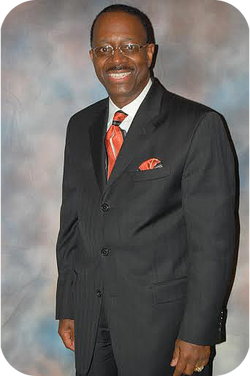 In 1994, Pastor Shackelford received his Doctorate of Ministry degree from Friends International Christian University. He is the founder of Independent Ministerial Association (IMA). IMA provides wisdom and insight for pastors and leaders who see him as a mentor or spiritual father,. Pastor Shackelford along with his wife, Pastor Marilyn host Marriage Encounters titled, Marriage Moments with Meredith & Marilyn. As a strong husband and man of God he along with his wife preaches Marriage Moments at locations across the United States and abroad. He resides with his wife in Northern Indiana. 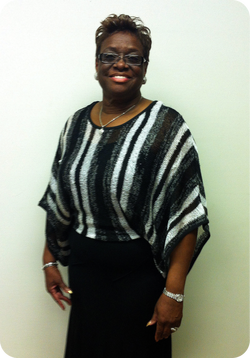 Pastor Marilyn Shackelford, Administrative Pastor of An Open Door Church Ministries in Hammond, Indiana. Pastor Marilyn serves alongside her husband to fulfill the call of God and the vision the Lord had given them as founders. She is a dynamic and powerful conference speaker, a virtuous and willing vessel of God with a heart for the fullness of God's love and Joy to be known and experienced by all. She is a wife, a mother and a grandmother. Pastor Marilyn has a spiritual transcends cultural, denominational barriers, her ministry of healing, teaching, prophecy and powerful gift of discernment complement those of her husband as they minister uniquely together to help bring restoration to today's families. Pastor Marilyn is a native of Chicago, Illinois and a graduate of Friends International Christian University, where she has received her doctorate degree in Church Administration. She is founder and president of God's Gifted Girls of An Open door Church Women's Fellowship.